From the depths of Mexico (just kidding, Monterrey) brews a change in the waters when it comes to the music we typically present to you. Bite Me! Music & Fashion is proud to introduce you to Mexican Dubweiser. There’s a mixture of electronica and cumbia’s resulting in a track that promotes the grabbing of a fresh beer and the continuous nodding of the head while you relax and unwind to some damn good tunes. Take a listen for yourself and see what you think? Is this something you can add to your iTunes library? 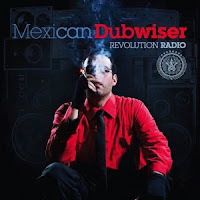 If you liked that click here for samples of “Revolution Radio” and a link to purchase Mexican Dubweiser CD.